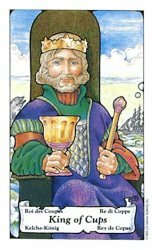 A king sits on a throne surrounded by water, holding a chalice in one hand and a scepter in the other. 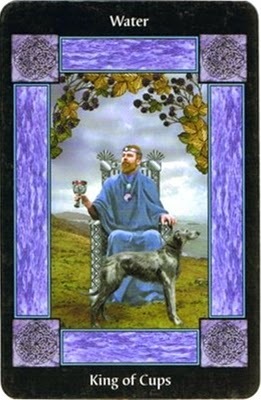 Meaning: If not an older man coming into your life, this card means you are about to find a new reservoir of motivation in your life. Possibly the idea to start a new business, new course of study or even a new family. Your desire to build something is about to kick in.